When it comes to calories, not all fruit juices are created equal. 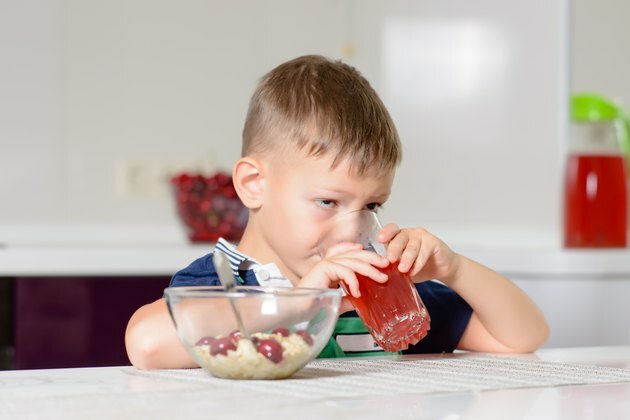 According to the Centers for Disease Control and Prevention, many people are unwittingly drinking up a lot of their daily calorie allotment on fruit juices. Both bottled and frozen versions often contain more calories than even sugary sodas and energy drinks. If you're wondering if fresh-squeezed juices fare better than their frozen or bottled counterparts, they don't. While fresh juices do contain higher amounts of some vitamins than those that are frozen, they're by no means low-calorie. Bottled apple juice has 114 calories per 8-ounce serving. Canned fruit punch has 119 calories per 8-ounce serving. Bottled cranberry juice cocktail comes in at 137 calories for the same amount, and bottled grape juice tops out at a whopping 152 calories per 8 ounces. Citrus juices are slightly lower in calories. Fresh-squeezed orange juice has 112 calories per 8-ounce serving, and pink grapefruit juice has only 96 calories for the same serving size.